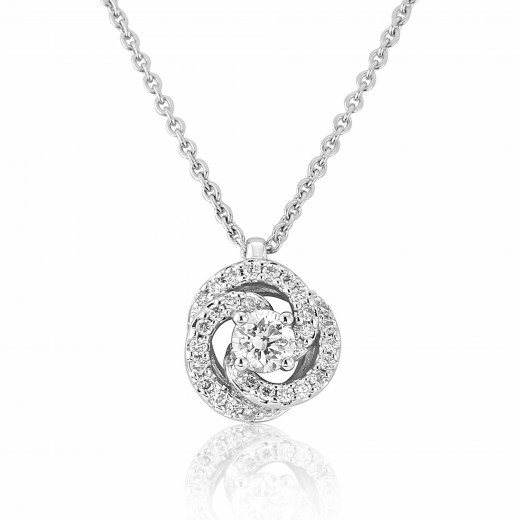 An exquisite Pendant with a White Gold setting and delicate chain. The flower design has a centre round Diamond and further small Diamonds along the lines of three interlocking swirling ‘petals’. A very special piece from our most luxurious collection. 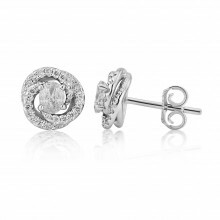 Matching Ring and stud Earrings are also available.